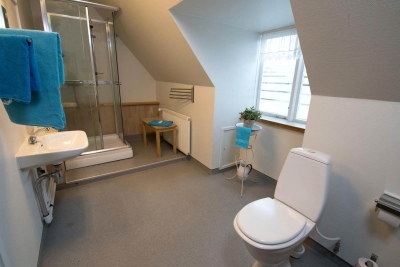 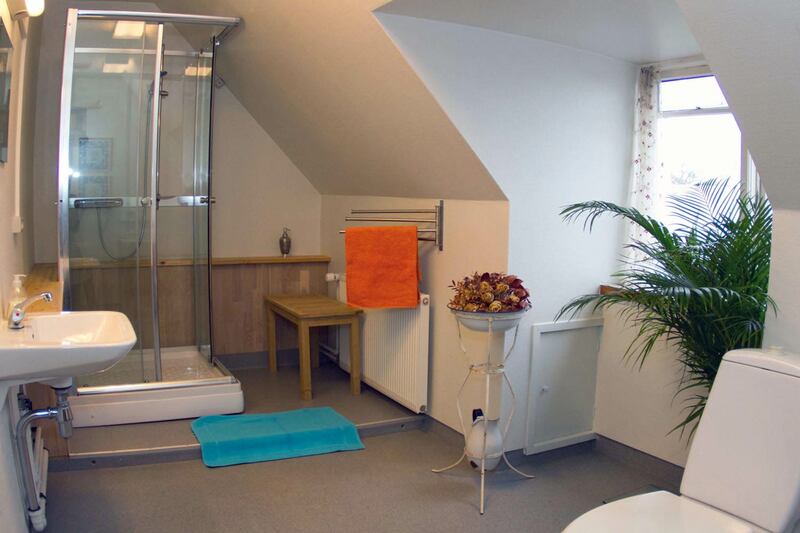 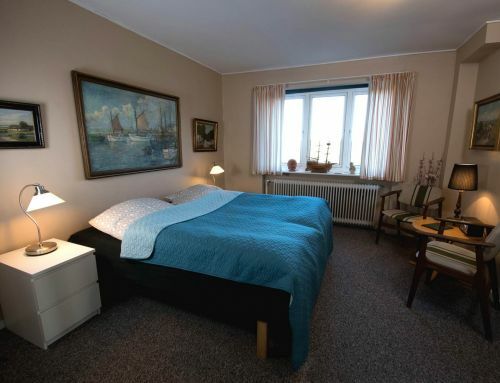 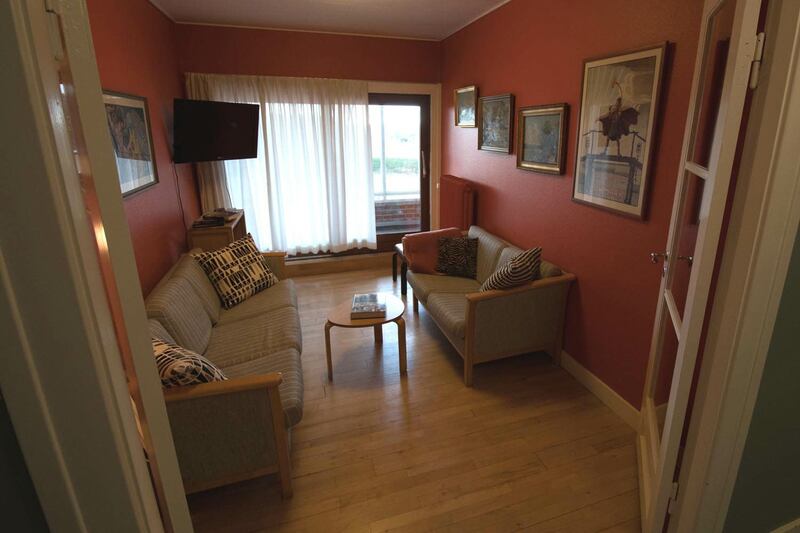 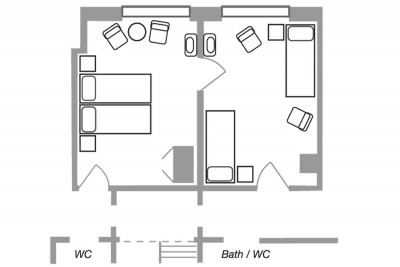 This family room is on the 1st floor and has private bath and toilet in the corridor. 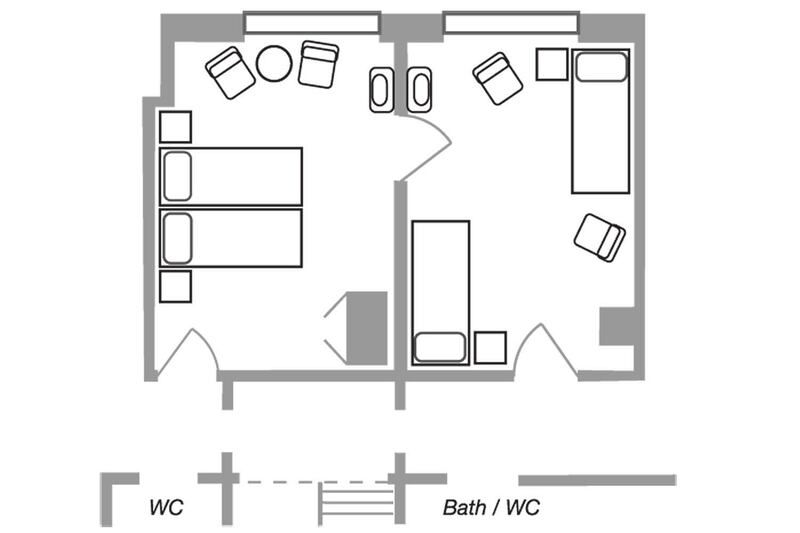 It consists of 2 rooms separated by a door (see drawing). 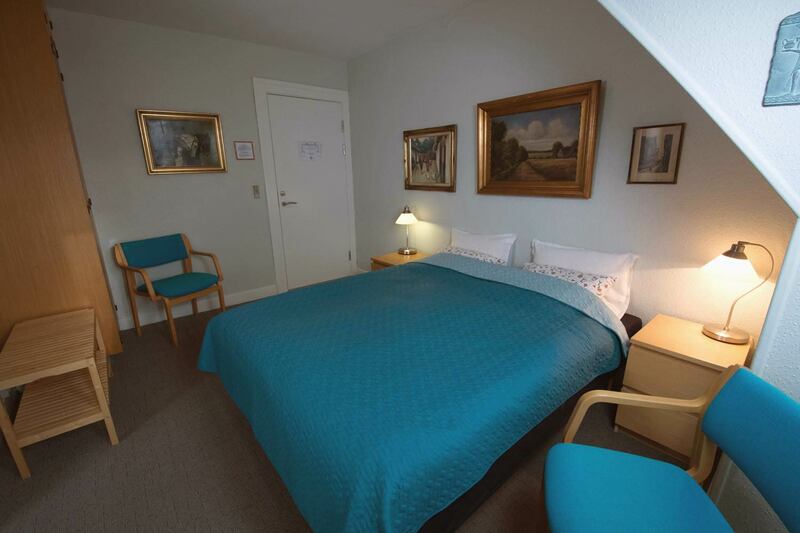 The rooms are charming and have a magnificent view to the hotel garden. 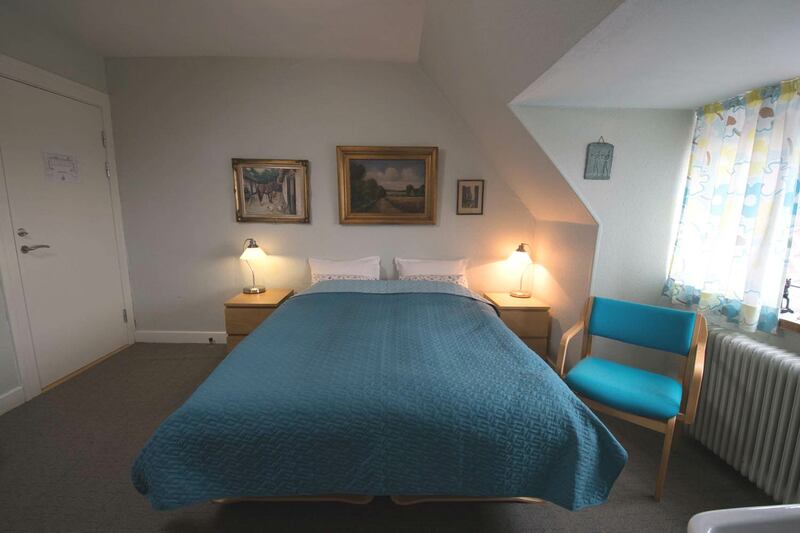 Beds, pillows and duvets are of extra good quality. 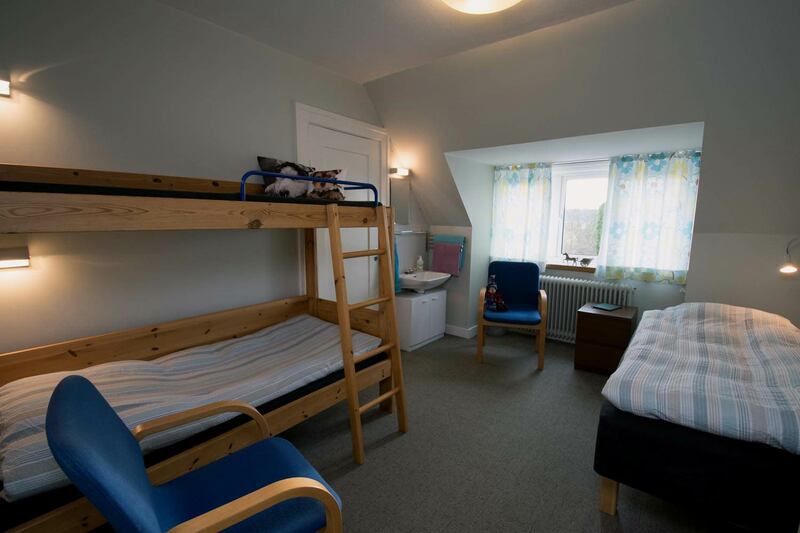 One room has a double bed, whereas the “children’s room” has a single and a bunk bed, respectively. There are blackout curtains, armchairs, luggage bench, reading lamps and wardrobe. 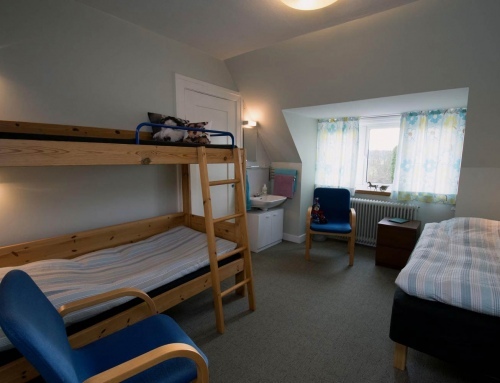 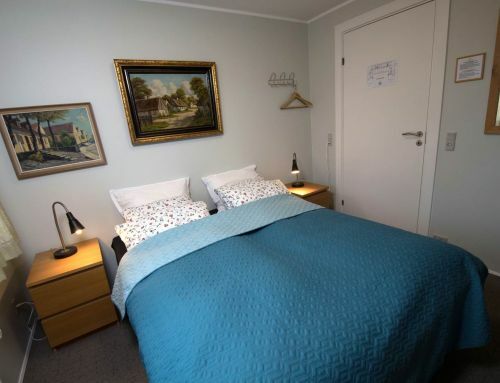 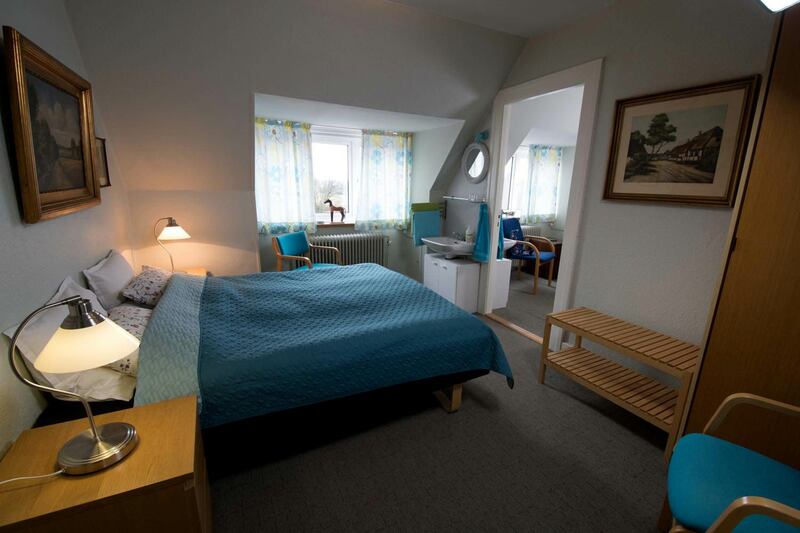 The price stated is valid for 2 adults and 2 children, however, 1 extra bed can for a minor fee be arranged in this room type. 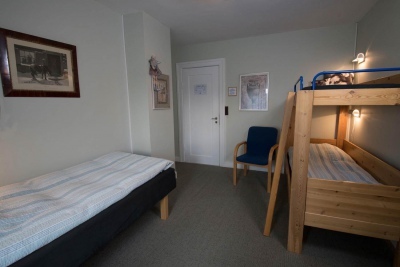 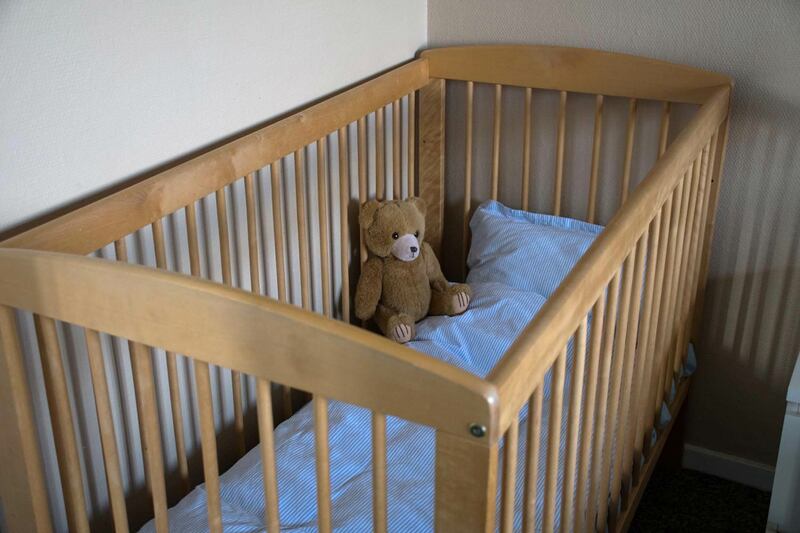 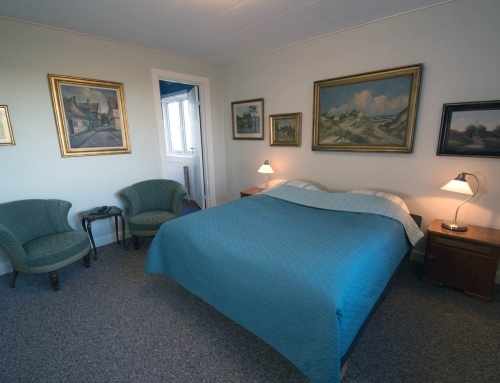 The single beds may be replaced by cots.